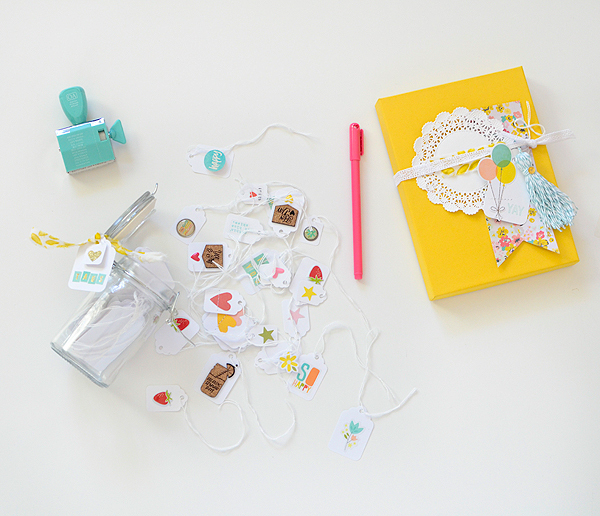 It's the 15th of the month, which means it's time for the Gossamer Blue Inspiration Blog Hop! Hopefully you've been finding these monthly tours helpful; we do it to give you plenty of ideas for using up the contents of your GB kits. I always come away with some great concepts from the other girls. 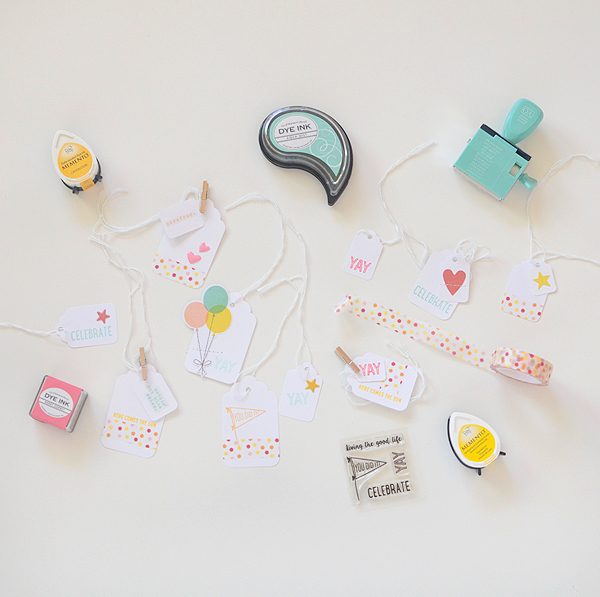 You've probably just arrived from Patricia's blog and she's definitely had some brilliant ideas! 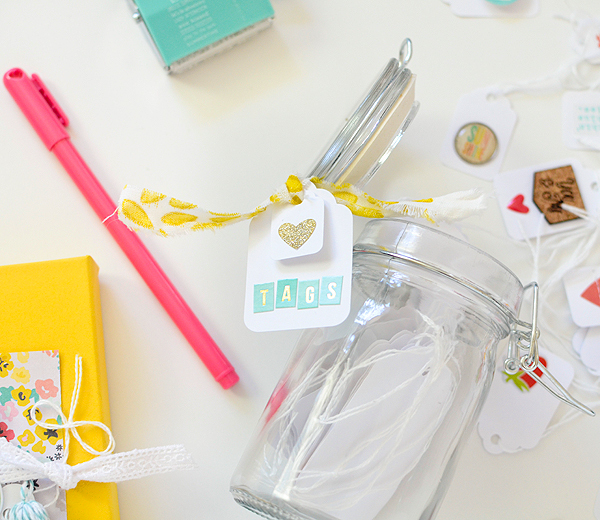 My project today couldn't be simpler...a jar of super-duper easy tags. I always have a lot of embellishments left from my monthly kits; most of them I tell myself I'm going to save and use later. Sadly, though, I rarely ever get the chance to revisit them, so this month I told myself I'm going to find a way to use up as much from August's kits as possible. 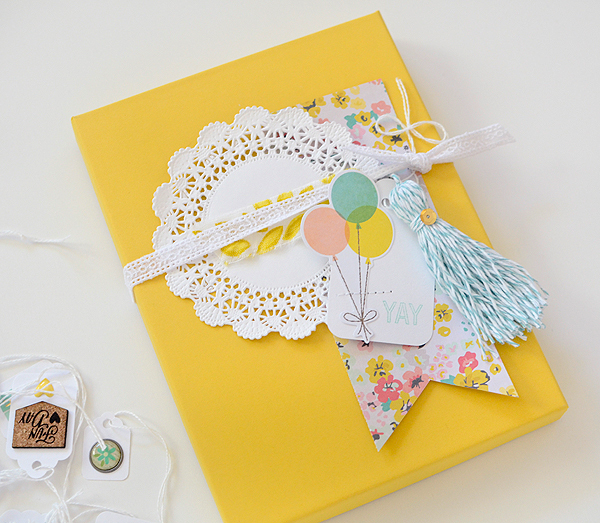 The beauty of a kit subscription is that there will be another one (or 8!) next month, right? So...No. More. Saving! 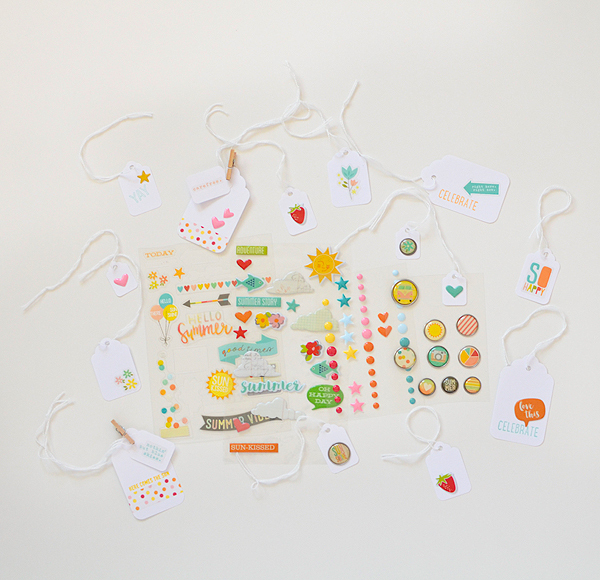 August's kits come with a lot of small elements--puffy stickers, enamel dots, adhesive brads, to name a few--and to utilize them, all I did was take multiple sizes of white strung tags (these are Avery brand, sized 3/4" x 1" to 1 3/4" x 2 3/4") and put one or two of those embellishments on them. Really. 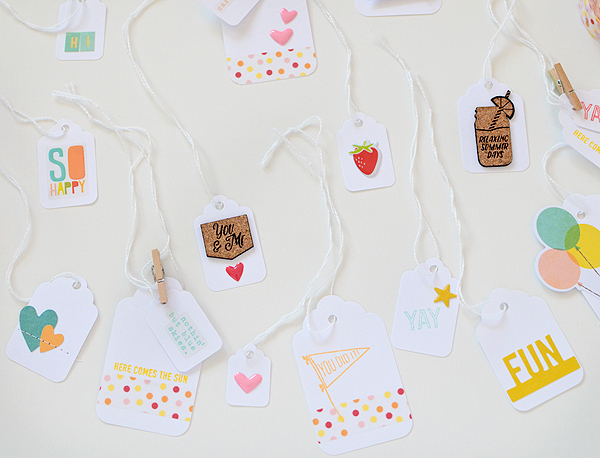 I made 50 or so small tags in about 15 minutes and now I have an entire jar of them for all my needs. While some of them are summery, most of them aren't so I'll be reaching for these when I need a tag for teacher's gifts, thank you notes, and maybe even some birthday presents. The stamps in the kits also worked well for this project. 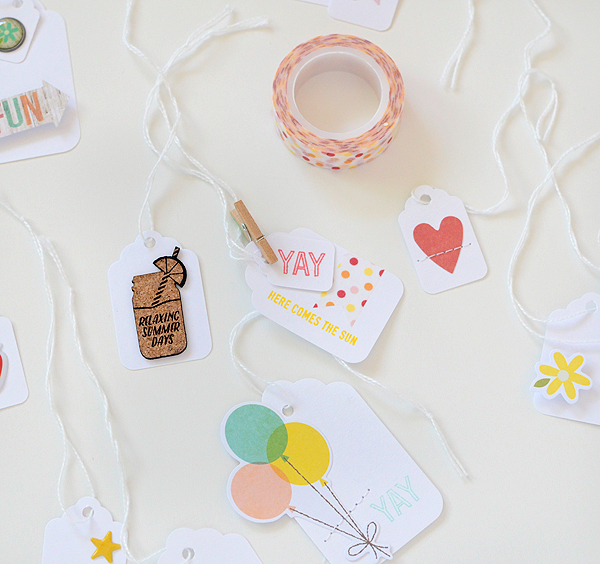 And so did the cork shapes and washi tape! And did I mention die cuts? I think you get the point. If you want to take it a step further, make up a jar for someone else. It's a practical, inexpensive, handmade gift. I quickly whipped some up for a friend of mine and even embellished the tags on the jar (simply) with some alpha stickers and a glitter heart die cut. 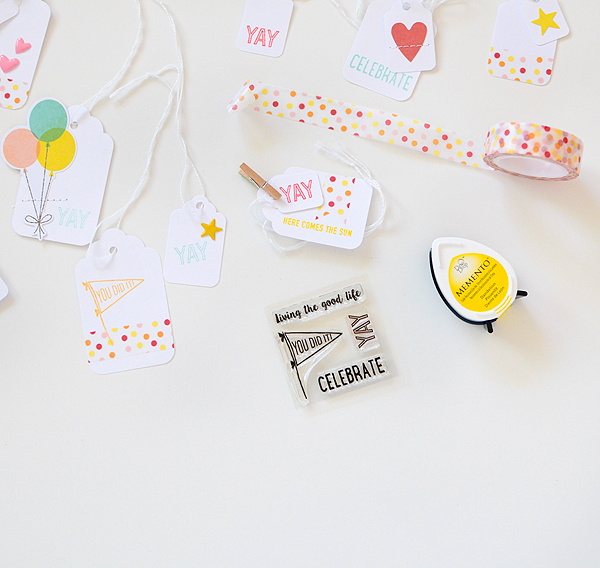 If you don't own August's kits yet, you're in luck because there a few left (links below). Check out the GB Shop and then be sure to visit Sian Fair's page (or vice versa :). 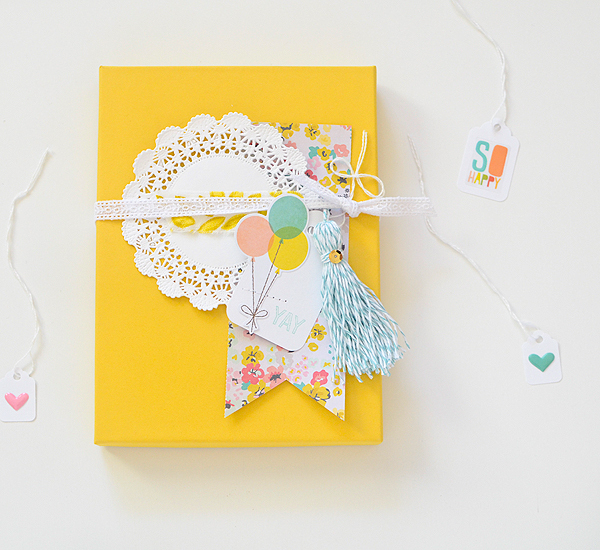 She's the next stop on the Blog Hop and her blog is simply gorgeous! 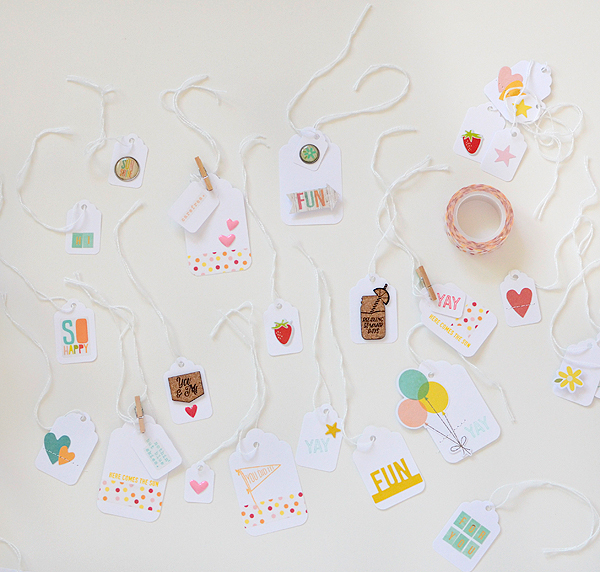 That is such a cute idea for all those little bits and pieces!! Love it! Oh this is such a cute idea, I love it! Oh my goodness! 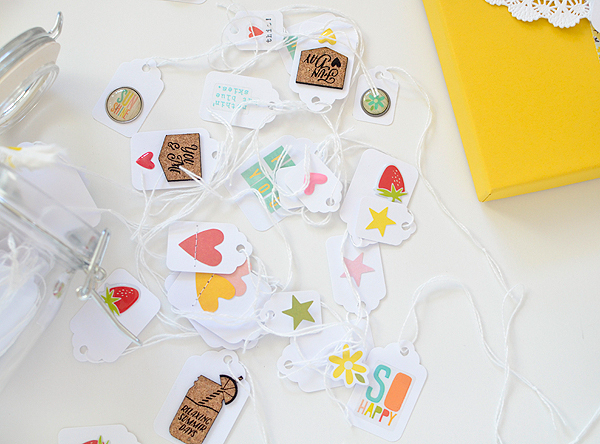 I want an entire jar full of tags like that! Love them all!